On November 2nd, according to data provided by market research firm NetMarketShare, in October 2018, Google Chrome continued to increase its market share. Although Microsoft’s Edge browser has slightly recovered, both The gap between them is still very large, even a gap of more than 15 times. From the data point of view, in October 2018, Google Chrome’s market share jumped from 66.28% in September to 66.43%. 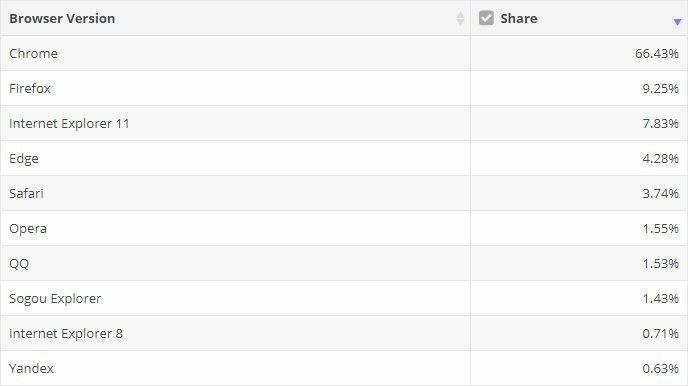 So it’s clear that Chrome is still the number one choice for browser users around the world, with six or seven out of every 10 people using Chrome. On the other hand, Microsoft’s Edge browser market share, which is only built into the Windows 10 operating system, has also increased, from 4.08% last month to 4.28% this month. 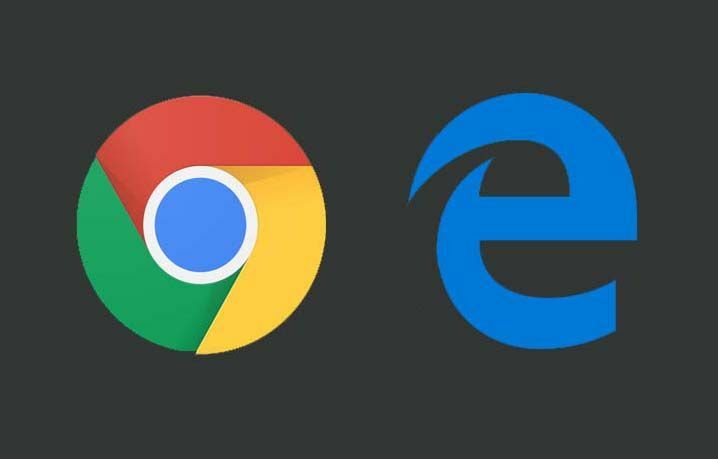 However, the Edge browser is still the world’s fourth-ranked browser, behind Chrome, Firefox, and its predecessor, Internet Explorer. At the same time, the Mozilla Firefox browser is currently ranked second with a market share of 9.25%, while the Internet Explorer browser share is declining every month, leaving only 7.83%. IE browser will not have any new features at present, Microsoft will only be responsible for releasing security updates. Microsoft’s focus in recent years is on Windows 10’s default browser, Microsoft Edge. From these figures, Microsoft’s Edge browser has no chance to compete with its competitors. Although Microsoft has adopted more or less controversial strategies to promote this browser. For example, Microsoft has been recommending desktops to Windows 10 users to convince them to switch to Windows 10 and use the Edge browser. However, many similar attempts by Microsoft ended in failure. There are still a large number of Windows 10 users switching to other browsers. At least from the above statistics, Google Chrome still benefits from it. Currently, the Microsoft Edge browser has been extended to platforms other than desktop PCs, which can be used on mobile platforms. The Android and iOS versions of the Edge browser are now available for download from the official app store, and Microsoft has added a timeline to it. A feature that keeps the time between browsing records between Windows 10 devices and mobile platforms in sync.